Today's cars aren't just a miscellaneous assortment of parts; they're a carefully integrated series of systems designed to work together as one. Which means that a transmission isn't just a transmission — every one is unique. Take the transmissions designed for use with diesel engines: These are heavy duty transmissions that have been specifically modified to provide optimal performance within the diesel engine's unique power band. At Winston Salem, NC Cottman, located at Winston Salem, NC, our technicians are eminently familiar with the unique characteristics of today's diesel transmissions. We know how they work, and we know how to fix them when they don't. 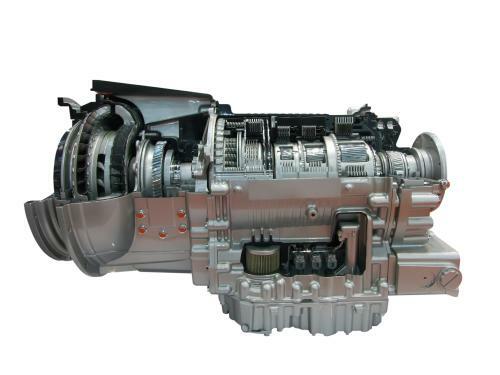 We have close ties with the manufacturers of the latest clutch technology, to enable us to build a diesel transmission that'll hold up for years and years under the additional load of a diesel engine. And, just as with gas-fueled cars and trucks, today's diesel engines and transmissions are controlled by computer systems. At Winston Salem, NC Cottman, we have access to the most up-to-date diagnostic information and equipment for those computer control systems, allowing us to analyze and identify problems that can affect your transmission. So, regardless of the engine — diesel or gas — at Winston Salem, NC Cottman, we'll diagnose your transmission problem right... the first time. And you can be sure that you'll never pay for a transmission unless you really need a transmission. That's our promise to you. If you have a question about your diesel transmission or would like to set up an appointment for our free transmission checkup, call Winston Salem, NC Cottman right now at 336-496-8734.